This dumbbell bicep curl uses both arms at the same time to build stronger arms. 1. Stand up and hold one dumbbell with each hand down the side of your body, palms facing your body. 2. 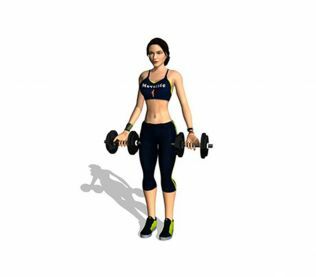 Raise both dumbbells until they reach your shoulders height and slowly lower them back down after a short pause.